From your first Take-Off to Frequent Flyer in no time! 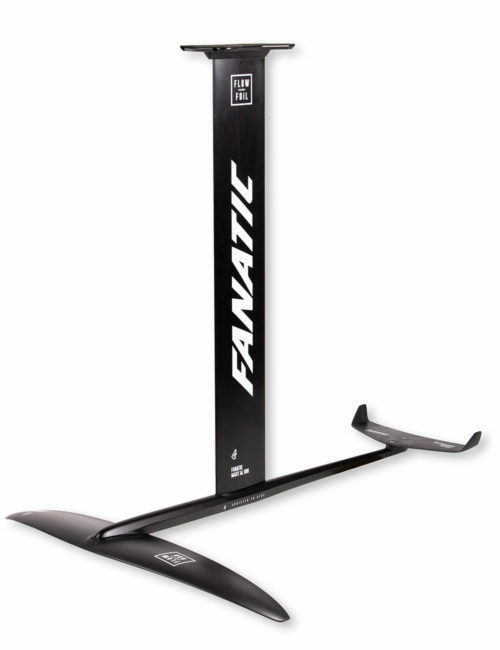 The Flow Windsurf Foils have been completely redesigned for the 2019 season to cover your Windsurf foiling experience all the way from beginner to performance level. Both wings are interchangeable for easy upgrades. 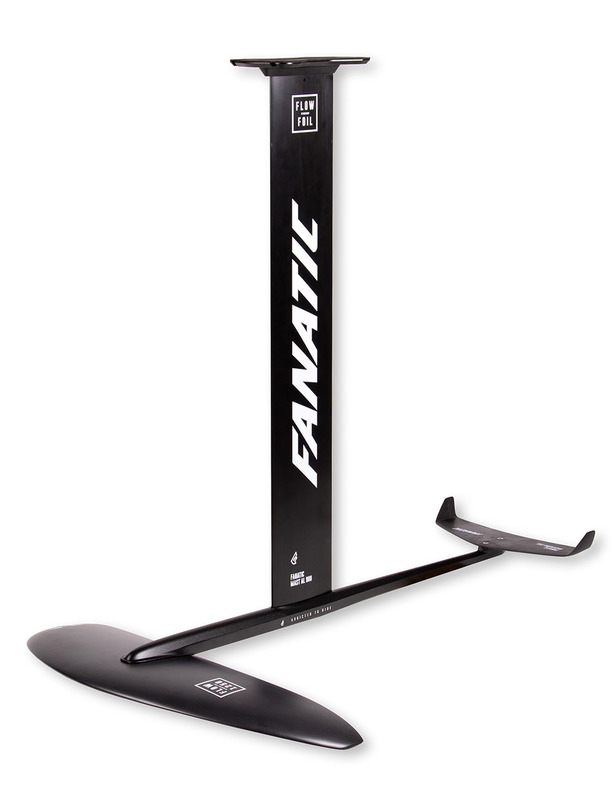 The new 90cm aluminium fuselage with 215 cm full carbon back wing adds great pitch and roll stability to both foil combos. The special profile and wider chord length of the newly designed 90cm Alu mast adds rigidity and response to these foils making you believe you’re riding pure carbon. 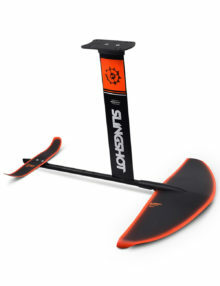 For shallow waters we’re offering a shorter 75cm mast version. 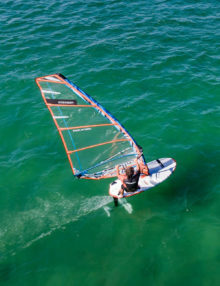 Windfoiling is the latest and most exciting trend in windsurfing which makes you finally enjoy those light wind days and have proper fun in marginal conditions. With only 7/8 knots you will be flying over the water and cover distances that you could have only dreamed of. The H-FIRE 91 was developed in collaboration with Antoine Albeau and is designed to be used with sail sizes from 5.0 square meters and up. 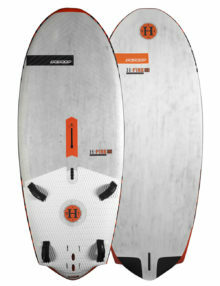 The board is 236 x 91cms of width, with a very wide tail area that makes it easy to get up on the foil and control it. 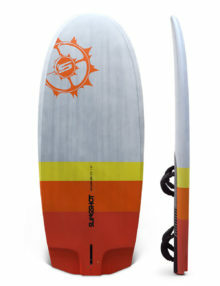 You want a stable, user-friendly foil you can ride at slow speeds, surf the smallest wake and waves or kite in super light wind. The Gamma 68cm is the wing of choice for our FWake package due to its flat profile that makes it super stable from side-to-side and give it tons of lift for surfing wakes as small as a jetski ripple. 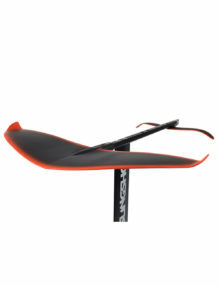 For Windsurf Foil: Easy entry level wing, low stall speeds that make it great for jibing even if you bobble a bit, great upwind ability and overall stability. 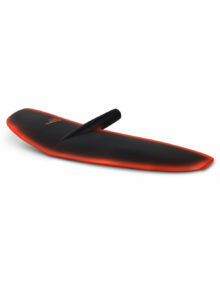 All Slingshot Hover Glide wings have been reengineered for 2019 with a new carbon composite material. The feel of the Infinity 76 comes from its inverted gull wing shape that essentially gives you the easiest and simplest of foiling capabilities. The great lift and stability at low speeds makes learning to foil a breeze, but fear not, this is not a wing you will outgrow. 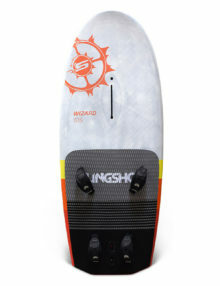 Its unique shape will make jibing not only possible, but more fun than any wing on the market. 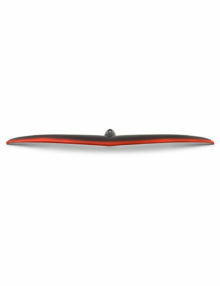 This is our test team’s favorite windfoil wing by a long shot.